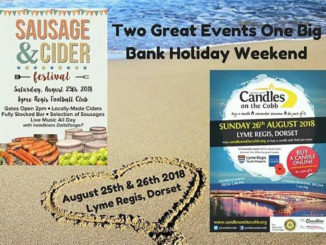 THE second Lyme Regis Sausage & Cider Festival has been hailed a huge success after raising £4,708 for the town’s football club. 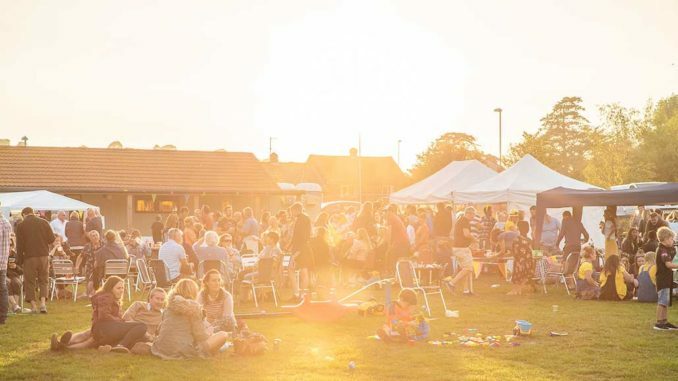 The event was held at the Davey Fort football ground in Charmouth Road on Saturday, and attracted hundreds of revellers keen to try the selection of locally-made ciders on offer, which completely sold out, as well as a variety of sausages from the award-winning Colyton Butchers on the barbecue. 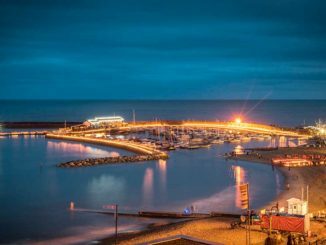 Attractions also included live music all day, including the Lyme Luggers ukulele group, young local singer Phoebe Holmes-Simeon, rock band The Reverent and headliners DeltaTango7. Kids were kept entertained by giant inflatables and fairground rides run by Edward W Danter’s Fun Fair from Gloucester, while adults were able to try their luck to win a wheelbarrow of booze on the raffle. Money raised will go towards the club’s ongoing ‘Project Fortify’ development scheme, with the next phase – a grandstand for supporters – expected to receive planning permission in the coming weeks. It will also help towards buying a new sit-on mower for the football pitch, as the previous one was destroyed in a recent shed fire. Francesca Evans, one of the members of the organising committee, said: “Once again we were absolutely overwhelmed by the popularity of the festival, which has become a firm favourite in the football club’s fundraising calendar. “Thanks to all who came along and supported the event, all of our organisers and volunteers, cider sponsors, the bands and musicians, bar staff and the fair ground.